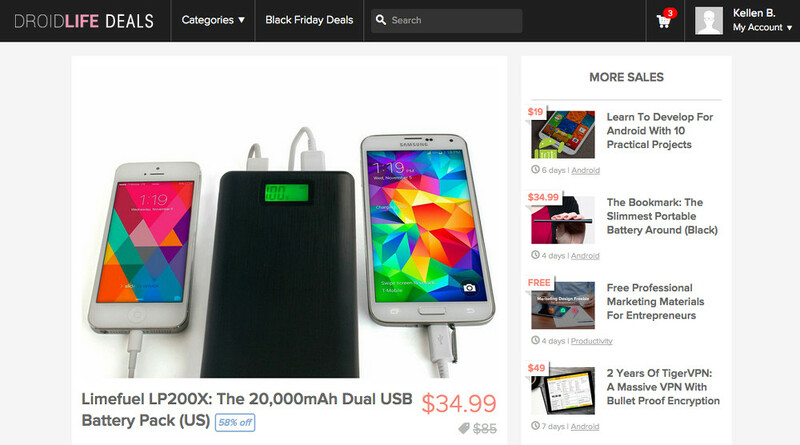 Since launch of the DL Deals page, we have posted a few great deals that were very popular. To bring in the new year, we have assembled the most popular of the deals into a single post, allowing you another chance to jump on any of the deals you may have missed. Included in this post is the NES30 Bluetooth controller for all of you gamers, Android development bundles, Active Wrap bluetooth headphones, the Limefuel 20,000mAh battery pack, and more. Going into 2015, we will continue to post deals that we feel are appropriate for our readers. Check out the most popular deals from 2014 below. The LP200X sports dual USB ports, a digital indicator, and a built-in flashlight. Plugged-in devices sip from a mind-boggling 20,000mAh battery (input 5v/2A, outputs 5v/1a and 2.1A), which is enough for at least 2-4 charges. It is rated up to 500+ lifetime use cycles certified against short circuiting, discharge, and overcurrent. 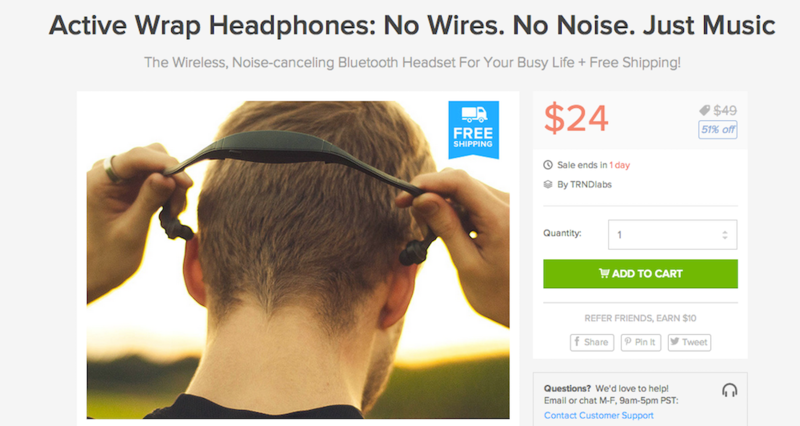 They have a “noise canceling outer shell,” are tangle-free, and feature “crystal clear” sound at a range of up to 30 feet. They also have a built-in microphone, so you can take calls at any time. The Active Wrap headset is Bluetooth powered, which makes pairing with an Android device incredibly easy. For those who experience lackluster battery life from their current workout headsets, the Active Wrap promises 8 hours of music playback, which should be able to get you through any type of workout. The unit also features a built-in microphone, built-in noise canceling technology, and much more. For just $19 (regularly $99), you could learn and master the fundamentals of Android programming. The program helps you learn to use all of the tools needed to make your own apps. It features 9.5 hours of content and over 105 lectures, including a video course. Topics include app components and APIs, creating a user interface, adding animations, and more. 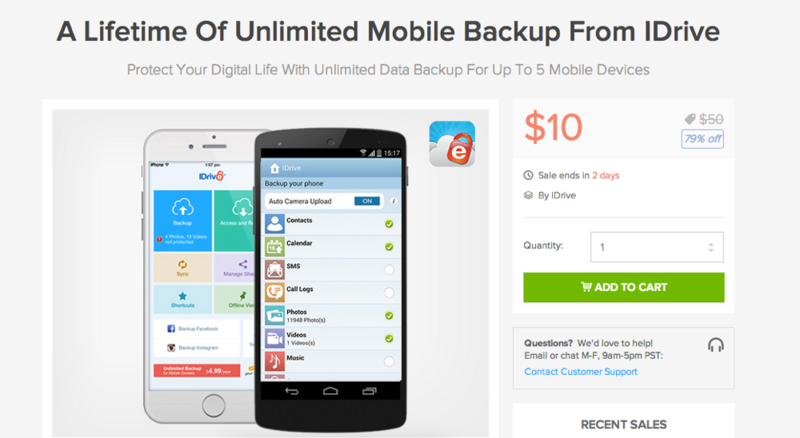 For those new to IDrive, just know that it is a massive online storage company that offers a mobile backup solution that has been downloaded hundreds of thousands of times on Google Play. It’s free to use up front, but you are limited to around 5GB of storage unless you upgrade. They have mobile backup plans that start as low as $5 per year, but again, this deal is for unlimited storage for life for just a single payment of $10. As for the features here, you are looking at Private Key Encryption (256-bit AES encryption), Android and iOS compatibility, syncing of files between devices, backup scheduling, backups of social networks like Facebook and Instagram, etc. This $10 unlimited unlock also gives you unlimited on up to 5 different devices. Usually priced at $503, The Elite Android Hacker Bundle features hours upon hours of online courses, lectures, and in-depth teaching that will leave you with a complete understanding of how to build Android applications, then to penetrate them. Over the 7 courses you will gain access to, you will learn how to build basic Android apps so as to gain a better understanding on how they function, a course on everything Java, hacking Android and penetrating the system 101, Java Essentials for Android, as well as Android Development for Beginners, Intermediate, and Advanced students. The overall goal is that by the time you are done with these courses, you can build awesome applications, as well as destroy them. The controller is shaped exactly like an old NES controller, which should make you feel right at home again on the couch in your pajamas back in the 80s. Given the advancement in games, the controller does feature a few more control buttons than the original, but its shape and feel stays true. It features X, Y, B, A buttons, full directional pad, left and right triggers on top, 20+ hours of gameplay between charging, multiple platform compatibility, programable keys, and a microUSB port for charging.